How many Locks are Open? How many Locks are Open in the Picture above. 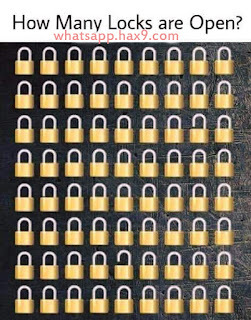 Share the image on Whatsapp and Facebook and other Social sites and see who can find all the open locks in the image.